You put .asi, .ini and models folder in folder where .exe is located and you're done. Do make sure that global.ini doesn't only load from scripts folder. Just solved installing all runtimes. Thank you. I've installed it fully it (SA) and plugged in my PS3 controller but it doesn't work. And I have the downgraded version. DualShock 3 doesn't work out of the box with Windows, you need drivers. Oh. What is that? Does the Ps2 controller need that too? Get SCP Toolkit for PS3 controller. I've installed it. Now what? Not the same link I used, but the program interface is the same, so yes. There's not even a menu in the game that appears and my controller has no function still. Pressure sensitive buttons may not work with the latest scp toolkit. I use this old release and it works like a charm, no need to update to something newer with tons of graphical garbage and tons of notifications. Get version 1.2.0.160, unzip it, plug in your DS3 controller and launch ScpDriver.exe, click install and wait. You'll see first slot indicator appears on your pad (when unrecognized - all 4 just flash). Then copy Xinput1_3.dll file from Win32 folder to GTA root directory. Your DS3 should work correctly. The controller doesn't turn on. All four lights are flashing. Then you do something wrong, check if drivers are installed (in device manager). No tips on my issue above? It's the second post from the top of this page. Do you have this problem on clean game, v1.0 exe, without any other mods and/or scripts, with only Ginput placed into mss directory? I've never seen this behavior in the current Ginput, and in older releases. This target lock is a native game code, it's not added by GInput, so looks like some other things broke it for you. Then I completely uninstalled the game, and reinstalled. No GInput yet, straight vanilla Camera does not natively lock. So i've got an interesting problem (although probably not unique), I have GTASA 1.0 installed from the original dvd on two windows 10 machines. One is a desktop one is a laptop, both have had the game installed exactly the same and both are using 3 mods (SilentPatch/Silents ASI Loader/Ginput). The desktop loads SilentPatch/Ginput without an issue, full X360 controller support where as the laptop will only load SilentPatch but not gInput leaving me without the ability to use my X360 controller as is possible on my desktop. It seems although GInput is not loading correctly when launching the game, to further work through this i've fully uninstalled and reinstalled the game twice while also restarting each time. Both machines are running the same driver version for X360 controller (10.0.171.134.1) not that I think it's relevant but thought i'd mention it anyway. Are there any other variables that I might be missing which would prevent GInput from being loaded on the laptop but not desktop? Isn't this related to your camera mode? I vaguely recall no lock on when using the furthest camera mode - try changing it to one of the two closer ones. It was DirectX, I should of known that from past games but haven't had any setup on the laptop before. Thanks for the help guys, I'm looking forward to yet another re-clear of a great game. Great addons as well Silent. Holy sh*t, you're right. Thanks man! I have a problem. 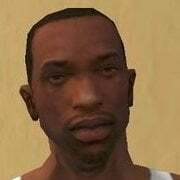 I can't use Throttle on my GTA SA. I try to install All kind of Ginputs I found. But still no difference. Please help. Is it possible to configure the controls at all? I'm playing GTA:SA with GTA:IV style controls but for some reason it's configured such that D-PAD UP=Conversation No, and D-PAD DOWN=Conversation Yes, which is confusing seeing as how in-game tool-tips show it being Up is yes and Down is no. Also when using a sniper rifle the left stick is used for zooming and moving your character around which creates a situation where zooming in causes you to move forward and zooming out causes you to move backwards. Trying to snipe from a rooftop or any high ground results in you walking off the elevated area while attempting to zoom in, kinda defeats the purpose of seeking higher ground to snipe. I'd prefer being able to move around while scoped independently from zooming so that I still have the option to move around and zoom in/out only when needed. Currently you can't rebind keys freely, you're limited to what is present in INI files. Help? When I remove GInput the game runs perfectly fine. Weird bug only happening in GTA 3. Whenever I get into an emergency vehicle, it shows the head radio font on top for 2 seconds. The only vehicles where it doesn't do this are the ambulance and firefighter. I know the bug is from Ginput because if I remove it's .asi, this bug is gone. Any way to fix it?